Elizabeth – Did You See That One? 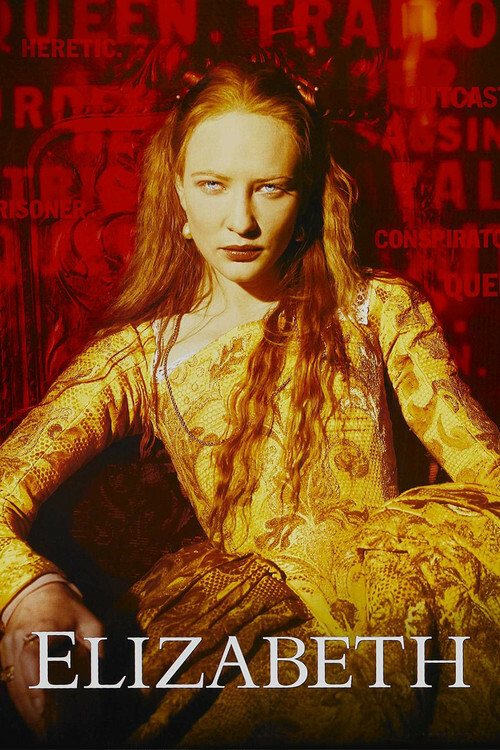 After Elizabeth I (Blanchett) inherits the throne she is quickly thrust into the dangerous world of politics and intrigue that threaten her reign. She is soon forced to make sacrifices in order to protect her kingdom. 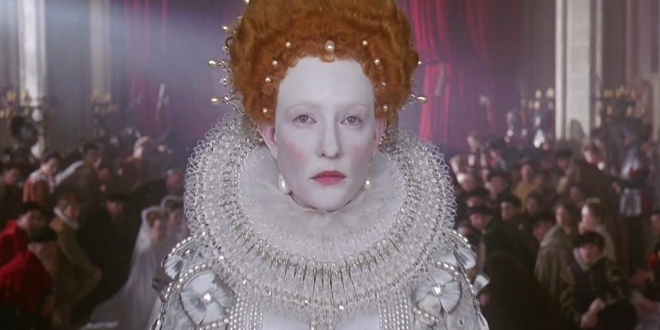 This film is a semi-fictionalized version of Elizabeth I of England’s early years as monarch. The movie would go on to be nominated for seven Academy Awards, including Best Picture. 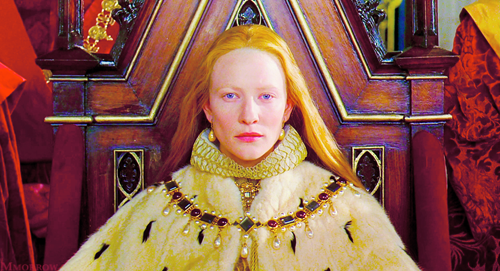 The screenplay is loosely based on the history of her reign, written by Michael Hirst (Uncovered). The film was directed by Shekhar Kapur (New York, I Love You). Cate Blanchett (Cinderella) leads this all-star cast which includes a number of big names. 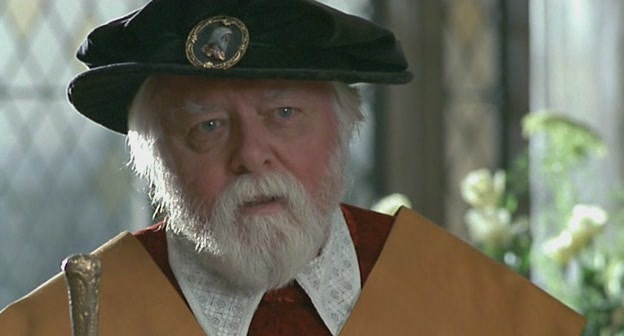 Some of those names include Geoffrey Rush (The King’s Speech), Christopher Eccleston (Thor: The Dark World), Joseph Fiennes (Shakespeare in Love), Richard Attenborough (Jurassic park), Fanny Ardant (Ridicule), and John Gielgud (Falstaff: Chimes at Midnight). This story takes the basic history regarding the early portion of Elizabeth’s reign as Queen of England and fleshes it out with intrigue and complicated relationships. The history used in the film focuses on the bigger picture. The financial, political, and religious issues all blend together with the more intimate details of the story. Like most great biographical films, this one does a good job of showing the growth of the title character. This adjustment isn’t just about the acting. The writing in this movie makes tiny adjustments in how the dialogue and action are written to show her changing life. Overall, this film creates a great amount of tension and suspense that keep this one from becoming a boring historical drama. The screenplay also found ways to bring importance to a number of characters. This gives the story a lot of depth and allowed the actors opportunity to shine. If there is any weakness in the film it comes from the complicated nature of the story. There are moments where this movie might have tried to fit too much into the story. If anything, this movie might have benefited from being split into two films. (There was a sequel, but it doesn’t bring much up from the first film.) Overall, this is one of the more suspenseful historical/biographical/political dramas you’ll see. The acting in this one is wonderful. Cate Blanchett was a great choice for the title role in the film. She has a natural grace that really fits well in the royal role she plays. She was also able to bring an intensity that creates a strong and interesting character. Blanchett also does a nice job with a wide range of emotional levels required by the part. The overall feel of the film is elevated thanks to her commanding performance in this movie. Cate Blanchett would be nominated for Best Actress in a Leading Role for her work in this one. She’s also joined by some talented actors to add to the success of this one. 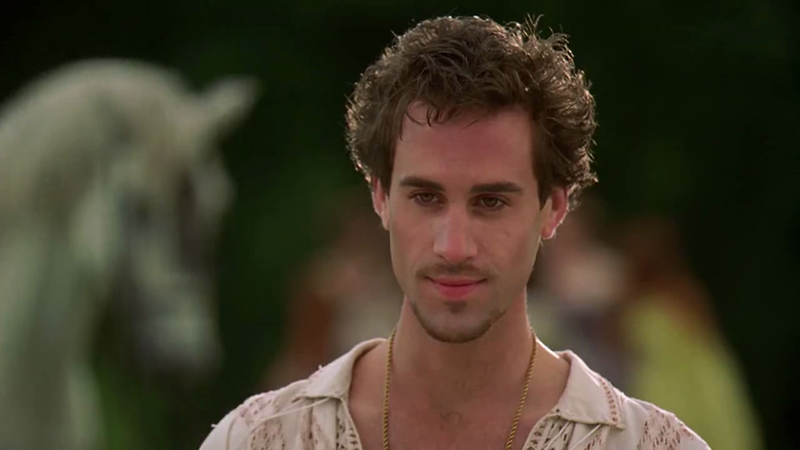 Geoffrey Rush and Joseph Fiennes are a few of the stars that really bring this one to life. Rush plays a role that almost seems like a calming influence opposite some of the more intense performances. 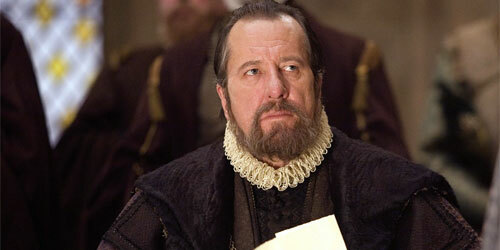 Fiennes also does a great job in this one. His role serves as one of the major conflict-building aspects of the film. He does an excellent job bringing out the emotion of the story. 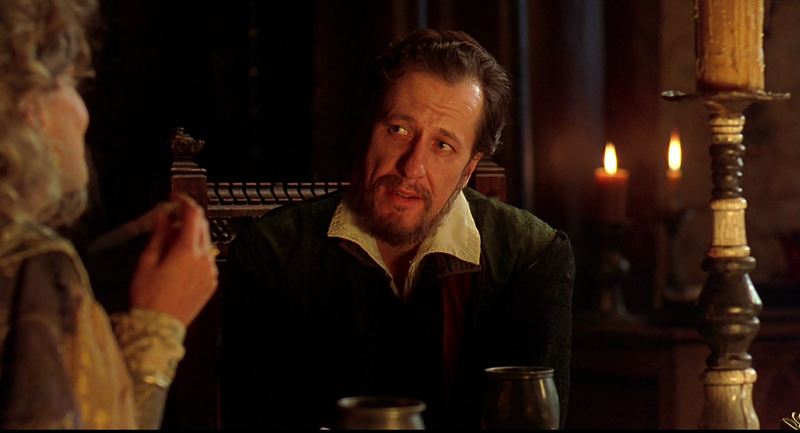 Christoipher Eccleston, Richard Attenborough, and Fanny Ardant are just a few of the names that should be mentioned when it comes to the success of this movie. The cast all seemed to find the right tone to match the visuals and the content of the story. One of the other highlights in this movie is the role by John Gielgud. I’ve always considered Gielgud to be one of the great masters of classic theater and film. He has a small but important role in this film, and he is wonderful. Overall, this is one that doesn’t seem to have any weaknesses in the acting department. The visuals in this film all pull from the history of the era. Paintings and other historical documents were used to re-create some of the iconic moments of Elizabeth’s reign. The costuming is exceptionally done, giving this movie a sense of authenticity and style that really help in bringing the history to life. The makeup and hairstyling further add to the unique and authentic feel of this movie. This work would also earn the film the Oscar for Best Makeup and Hairstyling, the only win for the film. The film also benefits from excellent cinematography, set design, and costuming. This work resulted in nominations for Best Cinematography, Best Art Direction – Set Decoration, and Best Costuming. In addition to the looks, the film also had the sound. The movie earned an Oscar nomination for Best Original Score thanks to the work by composer David Hirschfelder (Australia). This movie does almost everything right. If you’re a fan of historical movies, biographical movies, suspenseful movies, political movies, or any combination of the above; this is one you should see. I would also suggest this to fans of any of the wonderful actors in the movie. This movie is intense and sometimes gritty, so it’s not a family film. I give this one 4.7 out of 5 stars. Brilliant review, this film was visually amazing and acted to a high standard. Thanks for checking out the review. This is one of my favorite movies for the reasons you just mentioned. 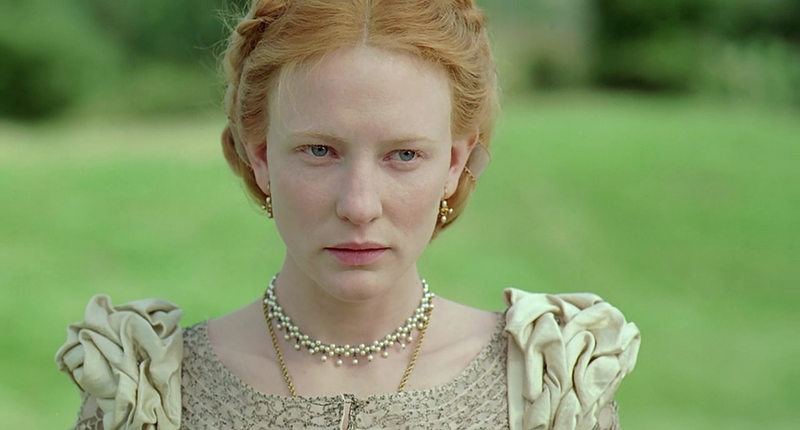 Having Cate Blanchett play Elizabeth was an inspired choice as she is marvellous in the part.